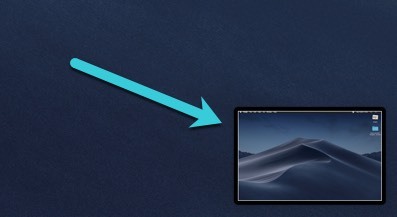 In macOS Mojave, the Screenshot app is capable of recording video of your Mac’s screen. 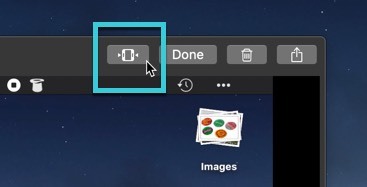 This is a new feature added to the app in Mojave. 1. Open the Screenshot app by using the keyboard shortcut, which is Shift + Command + 5, or like a standard app through Siri, Launchpad, or the /Applications/Utilities/ folder. 2. The application will appear as a floating toolbar at the bottom of your screen. 3. There are two screen recording options in the Screenshot app. The first will record your Mac’s entire screen. You can select this mode with the fourth icon from the left. The other option is to record a selected portion of your screen. You can select this mode with the icon immediately to the right of the icon for recording the entire screen. 5. If you select the “Record Selected Portion” mode, you’ll need to make a selection on your screen to indicate what should be recorded. Then click the “Record” button in the far right of the toolbar. 6. When you’re done with your screen recording, press the Stop button in the menu bar or Touch Bar, if you have one. 7. The video will appear as a floating thumbnail in the lower-right corner of the screen. If the video does not need to be edited, simply wait a few seconds for the thumbnail to disappear. The file will be saved in the location selected under “Options” in the Screenshot toolbar. If you want to edit the video, click on the floating thumbnail. This will reveal a simplified video player that allows you to trim the video. To open the trim tool, click the trim icon in the upper right. You can click “Done” when finished editing to save the video or click the trash icon to delete the video. If you close the video with the X button, Screenshot automatically saves the video. The “Options” menu includes several relevant options for screen recording. To reveal these settings, click on the “Options” button in the toolbar next to the Capture/Record button. Timer: Wait for a specified amount of time before beginning the recording. You can select none, which starts the recording immediately, or five and ten seconds, which start the video after the specified interval. Save to: Select where Screenshot saves the video recordings when confirmed. By default, Screenshot saves recordings to your Desktop. You can select locations from the quick menu. Click “Other Location …” to choose a save location through a Finder sheet. Microphone: Choose the audio input to pair with your video recording. The default is “None,” which will obviously result in a silent video. You can also select your system audio, which records any sounds coming out of your Mac. 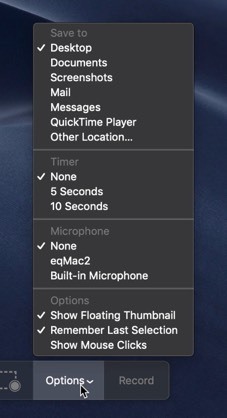 If you have an external microphone connected to your Mac, that will also appear as an option in this section of the menu. 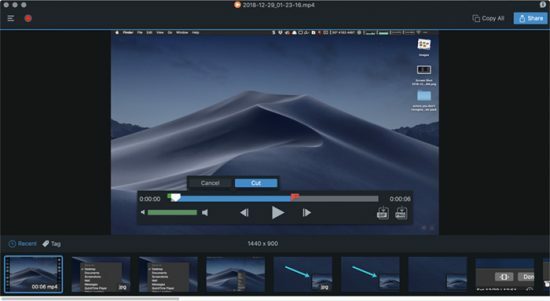 If you need more control than Mojave’s Screenshot tool provides, there are plenty of third-party screen recorders you can try. SnagIt marries power and ease of use in a friendly, practical interface that’s easy to use and navigate. Its power comes with a $50 price tag, but that’s actually fairly inexpensive in the world of video recording applications. Fortunately, there is a free trial available to give the app a test drive. SnagIt’s editing tools are way more powerful than Screenshot, with an actual timeline and editing tools. You can also record audio from your system output or your external microphone. SnagIt is ideal for any kind of tutorial or instructional video or capturing streaming video playback for archival or distribution. Its balanced cost and performance make it a reliable favorite for anyone who writes instructional content. Screenflow offers true professional-level video capture tools. At $129, it’s one of the more pricey applications you might buy. But you’re getting a lot of features for those dollars, and there’s a free trial to give it a whirl. The app includes a full video editor, including titles, transitions, animations, multi-channel audio, and more. With the built-in stock library and streamlined media management, you can create highly produced videos from your desktop. If you need high production value screen recordings and don’t want to mess around with a separate editor, ScreenFlow will cover all your needs. 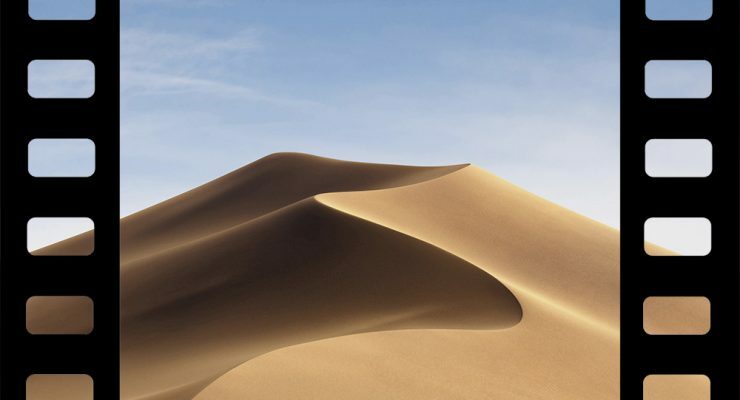 For most users, Mojave’s Screenshot tool will provide all the power you need when recording your Mac’s screen. If you require more robust capabilities, SnagIt strikes an excellent balance between cost, complexity, and usability. GIPHY Capture is ultra-simple, but it can still be a useful macOS screen recording app when used within the bounds of its limitations. For professional recordings, Screenflow meets higher-end requirements.